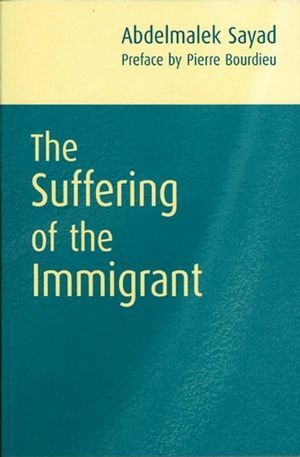 This book is a major contribution to our understanding of the condition of the immigrant and it will transform the reader’s understanding of the issues surrounding immigration. Sayad’s book will be widely used in courses on race, ethnicity, immigration and identity in sociology, anthropology, cultural studies, politics and geography. this book will transform the reader’s understanding of the issues surrounding immigration. 8 The Immigrant: ‘Os For Life’. 12 Immigration And ‘State Thought’.